This 8 Zone WiFi and cloud control Alarm system is very easy to install, and can be controlled easily via the touch screen, using a wireless keyfob or by your Smartphone. 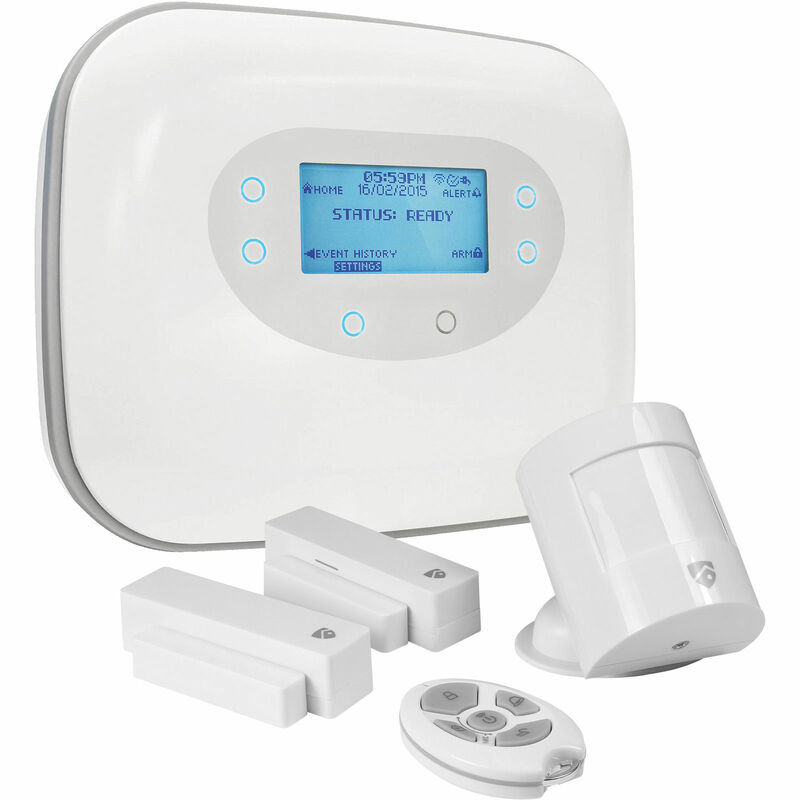 The alarm panel can be set to send an SMS, email or set to auto dial a preset phone number when any sensor (door sensor, PIR sensor etc) is triggered. Once dialed, the recipient can then listen in and even broadcast their voice over the control unit to scare away the trespasser, simultaneously triggering the siren. The PIR and Reed switches are mounted using 3M™ double sided tape. An ideal security system if you are renting or where it is difficult to run wiring through the premises. A WiFi network is required. Works with iPhone, iPad, iPad mini and iPod touch running iOS 6.0 or above and Android devices 2.2 or above.